From taking his first design class to competing at the 2018 Disney Imaginations Contest in just a matter of years, Baylor University junior Josh Martin is chasing his dreams of becoming a Walt Disney Imagineer. Every year, Walt Disney Imagineering hosts a contest for college students to come up with Disney-esque designs of their own. This year’s theme involved revitalizing abandoned cities, allowing the teams of students to create new material out of once-populated places. 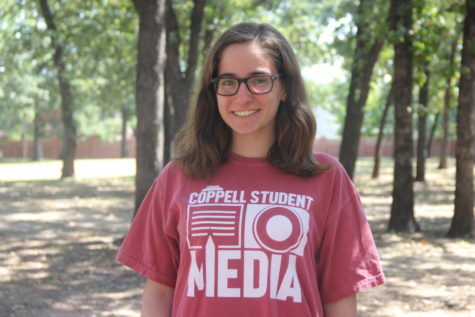 Through Baylor’s Theme Park Engineering and Design Club, Martin teamed with two other Baylor students to create a project titled “Lion City.” Although only Martin, a 2015 Coppell High School graduate, has a background in graphic design, his teammates specialize in other areas that are integral to creating and bringing ideas to life. Andrea DeOliveira is a mechanical engineer and Erin Saylor is an electrical engineer. Together, they were able to incorporate each other’s strengths into what became their final product. Because the competition is heavily based on the design aspect of the final product, Martin worked alongside his teammates to bring their ideas to life through his art. “I really felt the brute force of that task, knowing that this is a very design-heavy competition and I was going to be competing against other design schools that are known for putting forth great work,” Martin said. DeOliveira, Saylor and Martin all decided that they wanted to build their ideas around an underwater city, and Martin then suggested that they incorporate Chinese folklore and culture into it. “We took ideas from Chinese mythology and combined it with the actual history of how the city was sunken to create a very interesting and captivating storyline,” Martin said. As finalists, DeOliveira, Saylor and Martin were given the opportunity to travel to Glendale, Calif. to present their final project to Imagineers and the five other teams from around the country. They were also introduced to Imagineers and were able to interview for future internships and job positions. Although one would expect nearly all entrants in the competition to be artists, it is quite the opposite. Just like with Martin’s team, the other teams were made up of non-artists and artists alike, giving finalists the opportunity to work with people that do not practice the same craft as them. Despite his astounding success, Martin does not have an extensive background in design unlike many others that pursue art. Instead, he was introduced to design through CHS graphic design and animation teacher Cindy Wolfe’s class. Upon entering Wolfe’s intro to design class his sophomore year, Martin had never considered a career in art nor thought he would find himself competing alongside other college students at a prestigious competition hosted by one of the world’s most magical companies. After that class, Wolfe referred Martin to The Sidekick, which he joined his junior year and was design editor of his senior year. It was during his time in The Sidekick that Martin saw a future for himself in the world of design and became to love the work that he was doing. Martin’s mother, AP biology teacher Jennifer Martin, has also loved watching one of her children find and follow his passion through CHS. For Martin, what was once an interesting hobby became a passion and a path for the future. In a field that is constantly evolving, Martin chooses to channel his love for what he does in every piece he creates. Over the years and upon reflecting on his experience in California, Martin has come to learn hard work and talent can be more rewarding than talent. After his time with the Disney Imaginations Contest, Martin has high hopes of becoming a Walt Disney Imagineer. Meeting Imagineers at the contest in January deepened Martin’s admiration for them and led him to hope that he can one day inspire others in the same manner that the Imagineers have inspired him. To see highlights from the competition in January and fully immerse yourself in the magic, check out this video.